Requirements were established effective in October, 2014. The Complete Angler recognition was established by the BSA's National Fishing Task Force in October 2014, to honor well-rounded youth anglers. 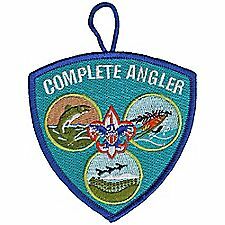 Teach a Fishing or Fly-Fishing merit badge skill to your troop or crew as part of a unit program activity.